Yacht Ornament. 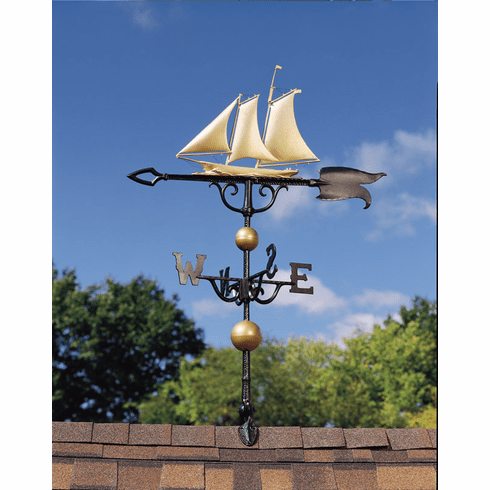 46" Weathervane. Crafted from rust-free aluminum and available in a choice of three colors. Each includes an aluminum roof mounting base.